Please welcome Sharon from the blog, Rediscovered Families! 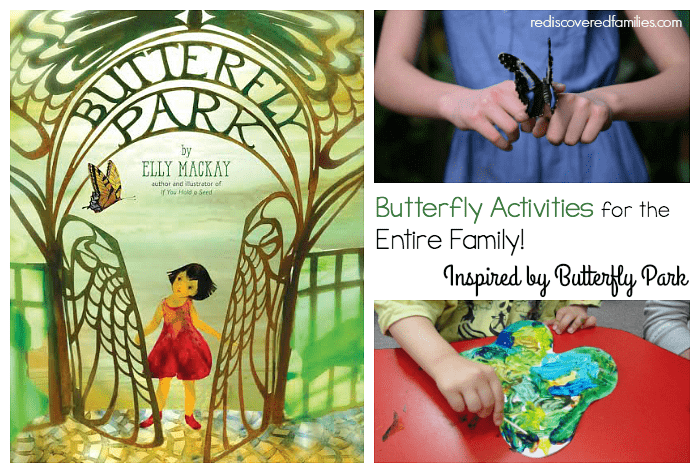 She is sharing the wonderful children’s book, Butterfly Park, that you’ll definitely want to check out, as well as some ways to extend the story with butterfly activities! This post contains affiliate links. Children love stories don’t they? Sharing a good book with a child is almost a magical experience. I read a wonderful book to a group of preschoolers a few weeks back. The children were mesmerized. You could have heard a pin drop as they drank in the pictures and followed the story. What is this magical book? 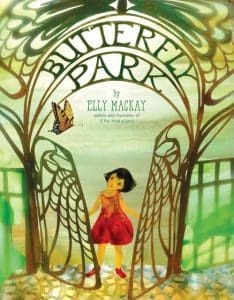 I introduce to you Butterfly Park by Elly MacKay! It is a story about a little girl who moves to the city. Thankfully her new house is right next door to a butterfly park. But, alas, when she visits the park, she discovers there are no butterflies. The little girl is determined to bring the butterflies into the park and inspires her entire neighborhood to help her. This is an enchanting story of community and the beauty that can be found in nature. The story is simple and has a lovely message, but it is the pictures that make this book stand out. The author places delicate cut-paper illustrations in dioramas that glow with light. The results are stunning. It is a joy to read with children! 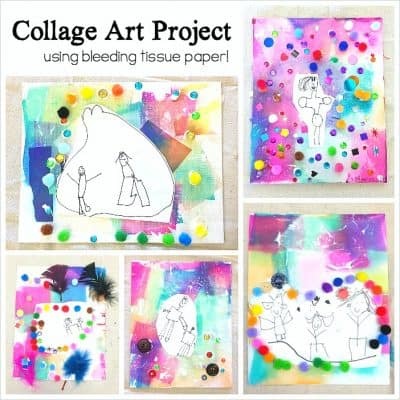 Invite children to point out the butterflies in the pictures. When you get to the fold out page at the back, see how many butterflies you can spot. 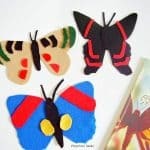 Encourage kids to make movements with their hands and fingers to show how a butterfly flutters. What would you miss if you moved to a new house? Why do you think there are no butterflies in the park? How does the park change by the end of the story? 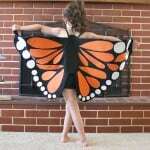 Invite your children to pretend to be a butterfly and flit from flower to flower. Music can help inspire the imagination. Try this piece from Saint-Saëns – The Carnival of the Animals. 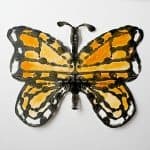 This story leads beautifully into some butterfly activities. 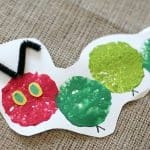 As I read it to younger children I needed a very simple craft. 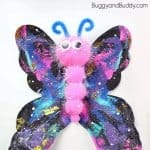 I adapted the Sponge Painted Butterfly craft from The Resourceful Mama. 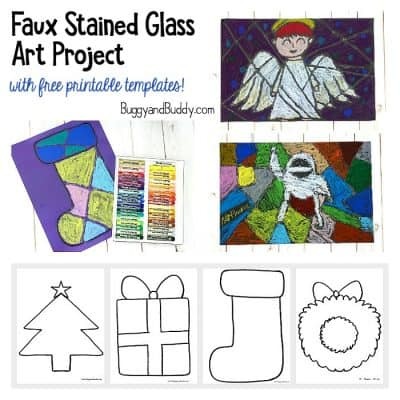 All you need is the butterfly template and some paint. The kids pulled on painting shirts and got to work decorating their butterflies. Our preschoolers were all smiles during our time together. 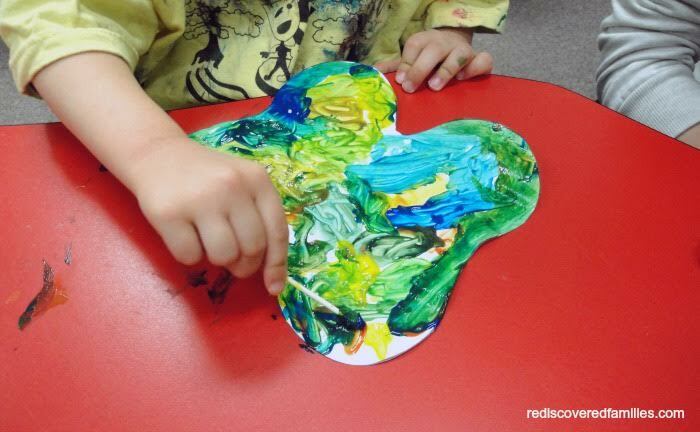 They love getting their hands into the paint always enjoy open ended activities. 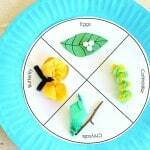 Having Fun at Home provides instructions for making some Amazing Balancing Butterflies. 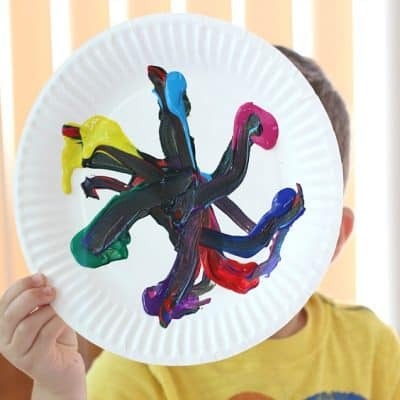 Why not make a bunch and see how many you can balance. 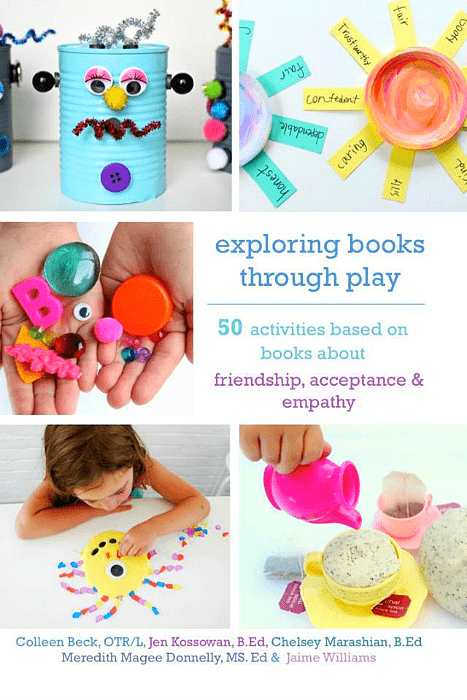 Older children might be interested to watch Elly MacKay create the art for her books. When you have watched the video you could try making your own 3D scene in a shoe box. First Palette has instructions for making a colorful garden diorama. 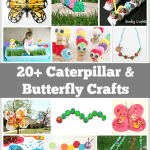 Creating a butterfly garden with a butterfly feeder or bath. 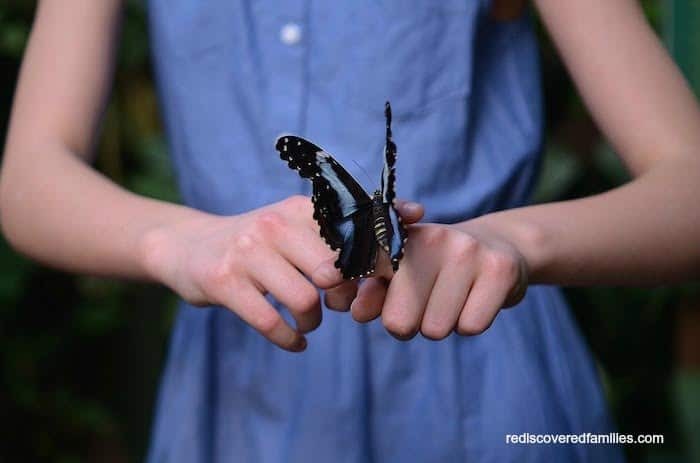 Observe the life cycle of butterflies in your own backyard. 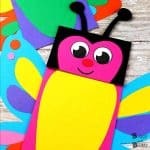 I hope that you can enjoy this book and some of the butterfly activities with your children. 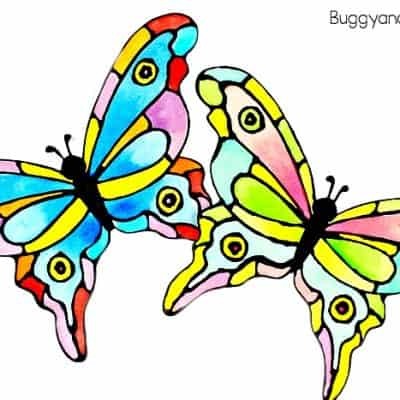 Butterflies are such beautiful insects and most children delight in them. Sharon is a librarian, writer, and mother to 3 adult children. 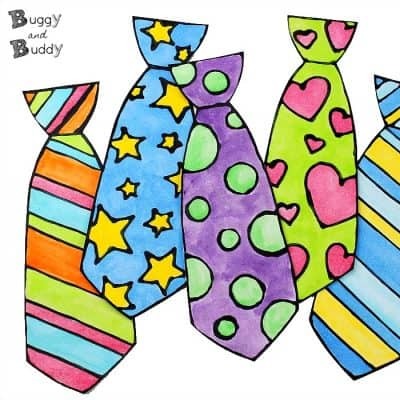 She blogs at Rediscovered Families and writes about nurturing strong family relationships. You can also catch up with her on Facebook, Twitter, and Pinterest.